What does a Teaching Fellow at Imperial College London do? After a long summer of tumbleweeds rolling through the foyer of the Sir Alexander Fleming Building, our Freshers arrived and second years returned, and the building regained its usual hustle and bustle. There were downsides, however: much longer queues for lunch and much more difficult to book a room at short notice! That said, the buzz is totally worth it. 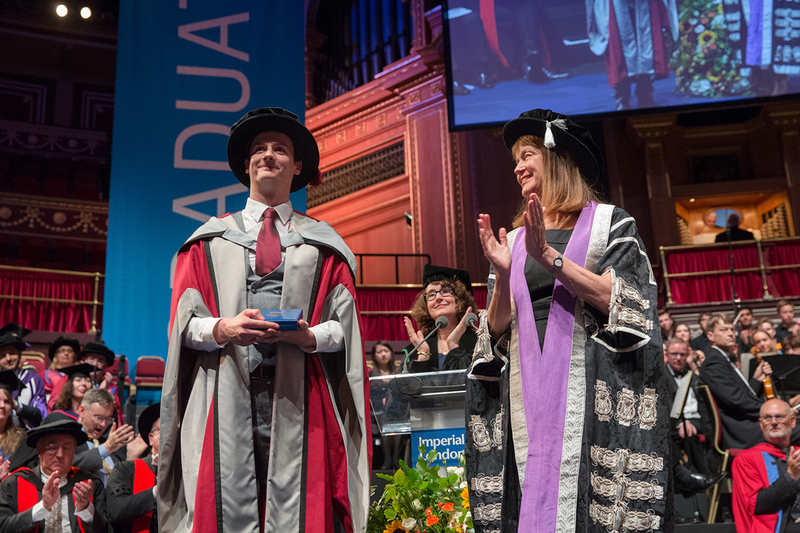 October 2017 was the first year I attended the Commemoration Day, where our graduating students celebrate their enormous achievements in the Royal Albert Hall, alongside their friends and family. Seeing students that I’ve taught hear their name, smile widely and walk across the stage to shake hands with senior academic staff generated many proud moments. This was a particularly humbling day for me because I was the recipient of a prestigious internal award (a President’s medal*) for my contribution to teaching. As such, my family and I were treated as VIPs for the day and even had a chaperone. For someone like me who is independent to a fault, this was a very weird situation)! My parents, wife and brother watched the ceremony from the Queen’s Box and were treated to great wine and food. Fortunately, when the time came to receive the award, I made it safely to my prearranged spot without tripping – the Events Team plan the day with military precision. Later, a student in the audience did send me a photo accusing me of sleeping during the kind words the Vice-Provost said about me. That definitely wasn’t the case! *Interestingly, I always thought that a medal hung around your neck, like on the Olympic podium. However, my medal was more like a big coin. A quick Google search reassured me that this was quite normal; the Nobel Prize medal also does not hang on a ribbon. Phew! 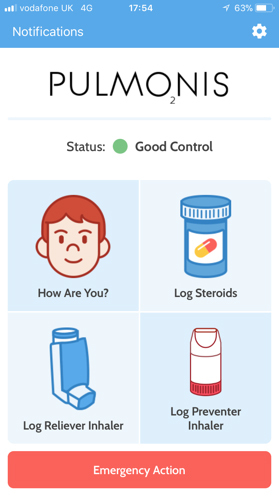 Pulmonis is an asthma management app that myself, Professor Andy Bush and Uddhav Vaghela (fourth-year MBBS student) have been working on a digitised personal asthma action plan. The Autumn term saw us receive several prototypes for beta testing. Seeing something that started off as a student’s brilliant idea in 2015 turn into a tangible app on my iPhone was incredible. IMPLEMnT is a project that Katie Stripe, Chippy Compton (previously ICSMSU President and now ICU President), and I have been working on our teaching innovation project for six months. In December we took possession of the first iteration of our website (phase one of the project), which will streamline teacher’s choice and use of technology in education. An idea for an (as yet unnamed) Board Game came to me as part of my Masters of Education studies with the Educational Development Unit while reading a paper about the different types of ‘capital’ involved in university management. This gave me a real lightbulb moment about a great set of game mechanics that I’ve developed into a board game. Yes, that’s what I do for fun. Feeling like a Dirty Rotten Scoundrel! A couple of years ago, I offered a helping hand to the Imperial College School of Medicine Light Opera Society with “24” – a musical where the cast and crew have only 24 hours to go from nothing to performance. For two years, other immovable commitments got in the way. In December, however, I managed to follow through with my commitment. I provided some back-stage assistance with a bit of set-building and lots of set changes (stage left!) to their performance of Dirty Rotten Scoundrels! I even made it into the programme (fig. 1)! However, the plot thickened, and I was asked (or told?) to deliver a cameo performance in the second act. I’ve been on national TV (fig. 2) and given talks to 500+ people, but the idea of performing three short lines made my hands tremor, my voice tremble and my heart race (a great example of the sympathetic stress response!). My performance was probably sub-standard, but the cast, band and crew were thoroughly impressive, and I had an amazing time. I’d definitely encourage my colleagues to get involved with the Union clubs and societies to see our students in a completely different light. Spring term is now well underway, and looking forward to what 2018 brings! Dr James Moss (@DrJamesMoss) is Senior Physiology Teaching Fellow based at Imperial’s National Heart and Lung Institute (NHLI).